We just got back from our annual trip to Australia. 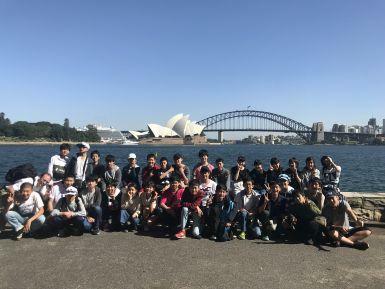 Someone from the International Department takes a bunch of junior high and senior high students to do a homestay near Sydney. They spend one week in the home stay and learn how people live in Australia. Some schools only do a few days but we do a full week. This means many of the students can make good relationships with the families. It also means they can change their thinking towards learning and using English. It is a great experience for the students and the families too.